A combination of lack of understanding and lack of visibility has resulted in the overlooking of many barriers that disabled individuals face today. Particularly in the realm of education, standardization has resulted in classrooms across the nation that not only look the same but also teach the same way. While at Duke we are particularly privileged in having a plethora of seminar classes and low faculty to student ratios, this is not the case in most other colleges. Take, for example, Columbia – an Ivy League school that is exceptionally well funded yet has a Psych101 class of 1600 people held in a concert hall. According to NY Times interviews, it is one of the most popular classes with a charismatic professor lecturing without a blackboard or notes. However, while for some this may prove a more engaging class, for others the lack of visual aids poses a serious barrier to learning. KeyPoints aims to address this issue by providing an individualized alternative learning method for students. 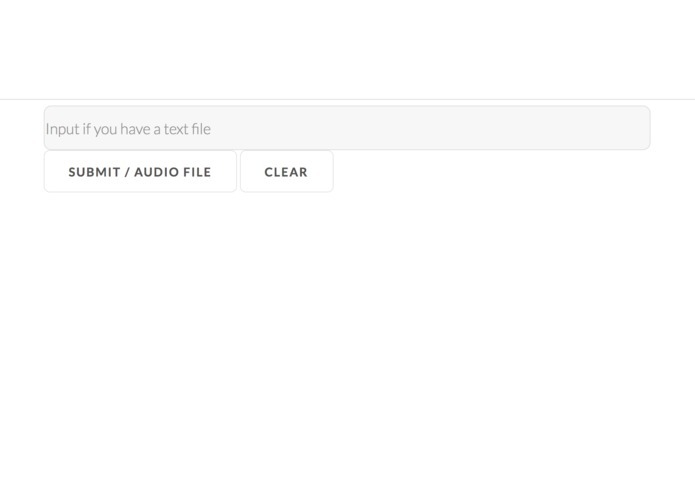 By simply recording a lecture, students can then upload the audio file to keynote and the web app will summarize and compile a list of main idea notes from the lecture. 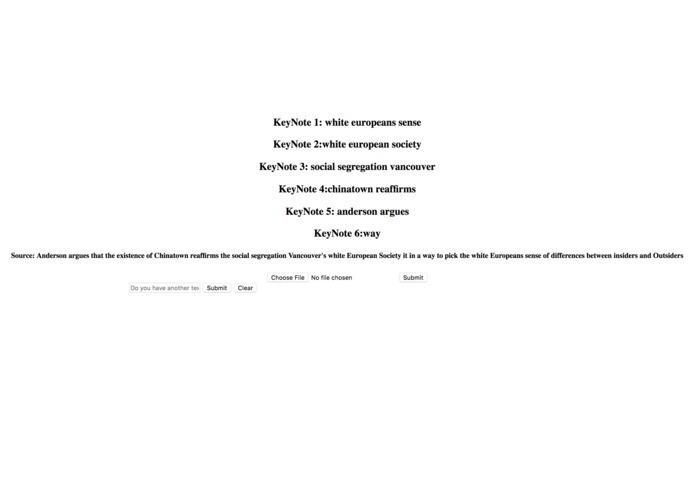 Using Google Cloud Speech API to transcribe the lecture and RAKE keyword identifier technology, the web app returns a list of key ideas or arguments from the audio recording. The deterioration of student mental health across the country means that there is something fundamentally wrong with our educational system. While policy change will take decades, KeyPoints provides solvency on an individualized, micro scale. For students who have auditory learning difficulties, debilitating migraines, or difficulties relating to a broad range of factors that make lecture-style learning less than ideal, KeyPoints could fundamentally change their educational experience. 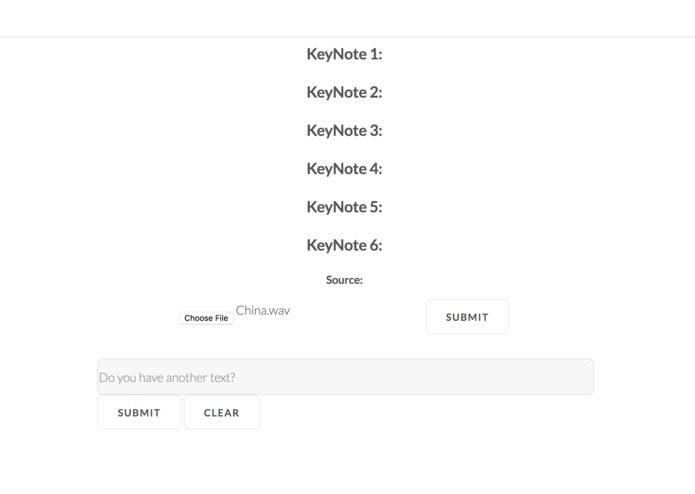 Using Google Cloud Speech API to transcribe the lecture and RAKE keyword identifier technology, the backend app returns a list of key ideas or arguments from the audio recording. We use HTML and CSS to display a website that allows user to upload their file. We use Flask API to build the client request and response with the Backend. In the future, we hope to implement better machine learning and natural language processing systems to better distinguish between important and unimportant keynotes. Furthermore, the ability to download a file with all the keynotes laid out in a certain organized fashion will also make them more helpful. Tina: I learned how to implement APIs! And found myself actually really enjoying the immediate changes while working on front-end development. Stephanie: I learned how to implement the front-end! Four of us are all first-time hackers!!!!!! !